Thank you very much for coming by. My name is Freddie Rivera, and I was born in New York City in 1957. I currently live in Queens, but I was raised in Manhattan. I am a Spiritualist Christian. I know first-hand that the consciousness survives after death, and that we are able to communicate with those that have crossed over to the Afterlife; they want very much to communicate with their loved ones. Mediumship readings are extremely personal. I can connect you to the other side in just one reading. My psychic and mediumship skills go back generations, but my abilities continue to pay it forward. I can also help guide you with matters such as love, finance, career, or other concerns and issues you may be troubled about or just curious. I, being Clairvoyant I can see both the present and future. For over six years I have given professional psychic and mediumship readings that have literally saved lives. I usually conduct mediumship readings strictly over the phone, but at times I have given them in person. I take the information I receive very seriously and find them to be an intensely personal experience. I use my gifts in a way that requires a level of compassion and respect. With an eye toward expanding my God-given abilities, I have become a Master in Reiki and can manipulate the energy centers in the chakra’s to facilitate healing. I use my medical intuitivegift to see into troubled areas of the body and locate blockages where energy is not properly flowing. I can also pinpoint illnesses by scanning the body. If you would like one I do the medical scan as a courtesy free of charge after completion of your reading. I can do all of this without physically being with you. I also do volunteer work with bereaved parents who have lost a child. These people are broken and lost. It’s amazing how a mediumship reading can facilitate powerful healing and give people back their purpose in living their lives again. As I have shared my gifts with others, because of my accuracy I have been given more opportunity to help more people by word of mouth. I am amazed how quickly my name has spread and how much larger my clientele has become. I have been interviewed on the radio many times and have given live readings to callers. My goal is to work exclusively with Spirit (Mediumship) in an audience-type capacity. I want to reach as many people as I can. 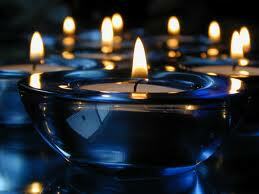 I also presently work as a professional psychic and medium for a few online psychic services. I have gained over 1000 reviews, but I want to offer my readings to my clients at a much more reasonable rate than the “services” offer. It also tends to hinder the personal relationship I have with the person I am reading for a bit. I much rather work on a more personal level. However, I have gained some recognition through these services by way of being rated a five-star psychic and medium. You can read my reviews by clicking here. You will not lose this page or be taken off of my site, a new window will open. You can purchase a psychic or mediumship reading with me by clicking here.